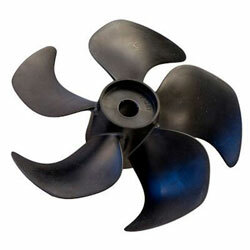 The SidePower SM79999 Q-Prop Upgrade Kit is made for Side Power 75T and 95T thrusters. It includes 5-blade composite propellers, which means less noise and more thrust! This is a complete kit to upgrade your Side-Power 75T or 95T thruster from a 4-blade prop to the newer, quieter and more efficient 5-blade Q-Prop. This upgrade can be adapted to all Gravity Feed 75T and 95T models produced after 1998.